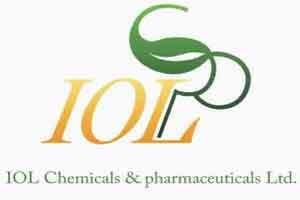 IOL Chemicals and Pharmaceuticals, a Punjab based company has recently achieved a breakthrough in manufacturing its drug, ibuprofen, at a plant in Barnala. The company received the go-ahead after a site inspection conducted by the US Food and Drug Administration. With this development, IOL can now export a major chunk of ibuprofen to the US, thereby adding significantly to its export turnover. Ibuprofen is a drug used to treat minor aches and pains caused by common cold, headaches, toothaches, back or muscle aches. The company has received establishment inspection report from the US Food and Drug Administration (USFDA) for the Barnala-based facility, IOLCP said in a filing to the BSE. “Post this approval, IOLCP will be able to garner additional business for its flagship Iburofen in world’s largest pharma market–USA,” it added. The Barnala facility has already been approved by various regulatory agencies including Brazil’s Anvisa, WHO and MOH, Japan, it added. Shares of IOLCP were trading at Rs 110.20 apiece on the BSE, up 18.75 percent from previous close (as reported by PTI).